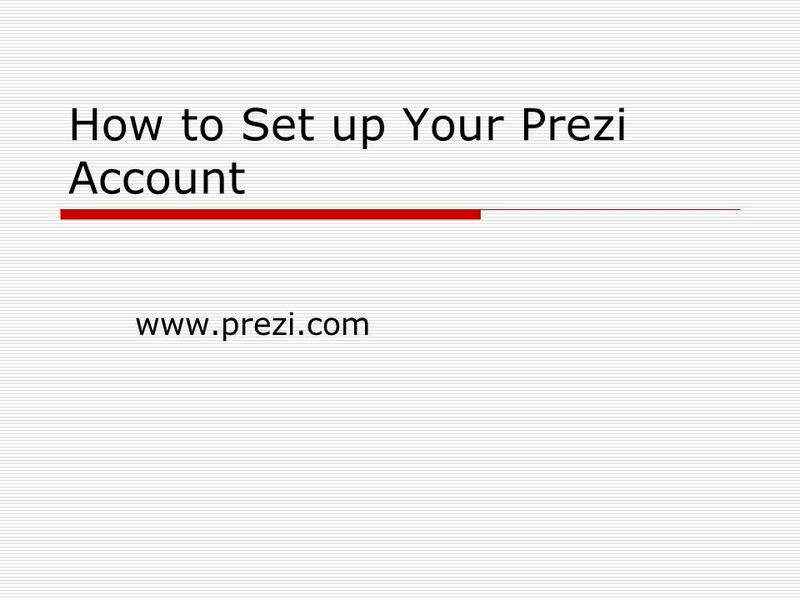 How to Set up Your Prezi Account www.prezi.com. Select Sign Up. 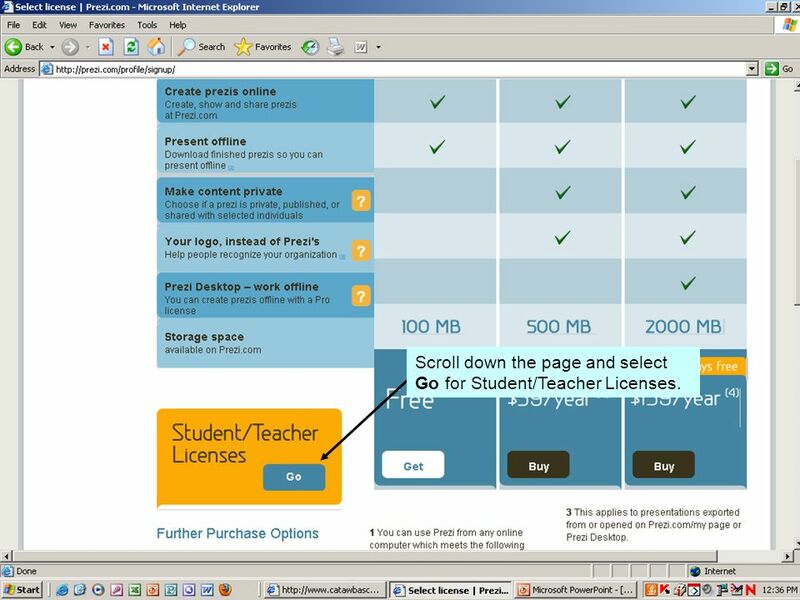 3 Scroll down the page and select Go for Student/Teacher Licenses. 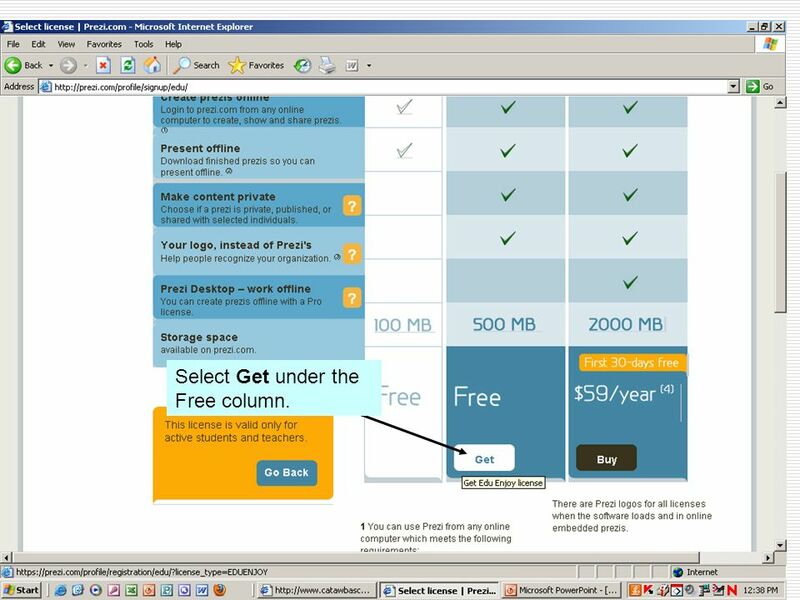 4 Select Get under the Free column. 7 You will then be sent an email confirmation to your Gaggle account. 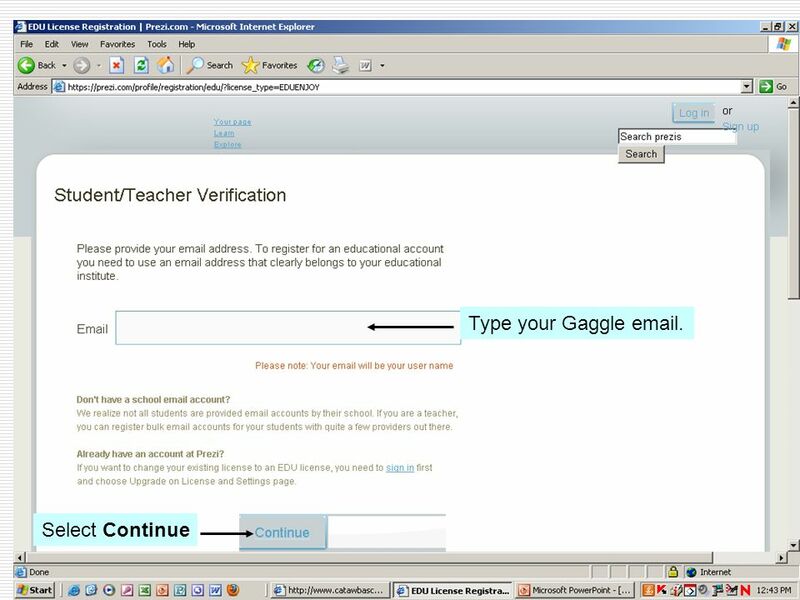 Open your Gaggle email and open the email from Prezi. 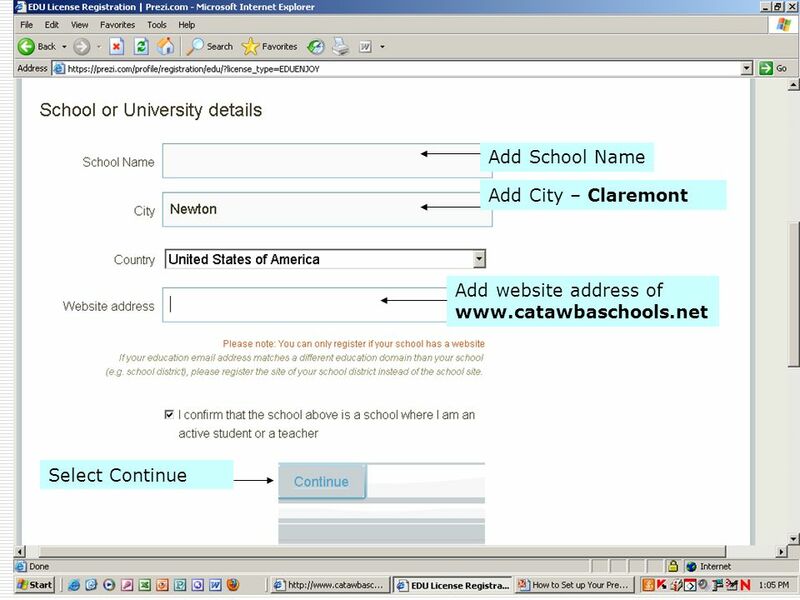 Select the URL to open the educational account in Prezi. Set up your account. 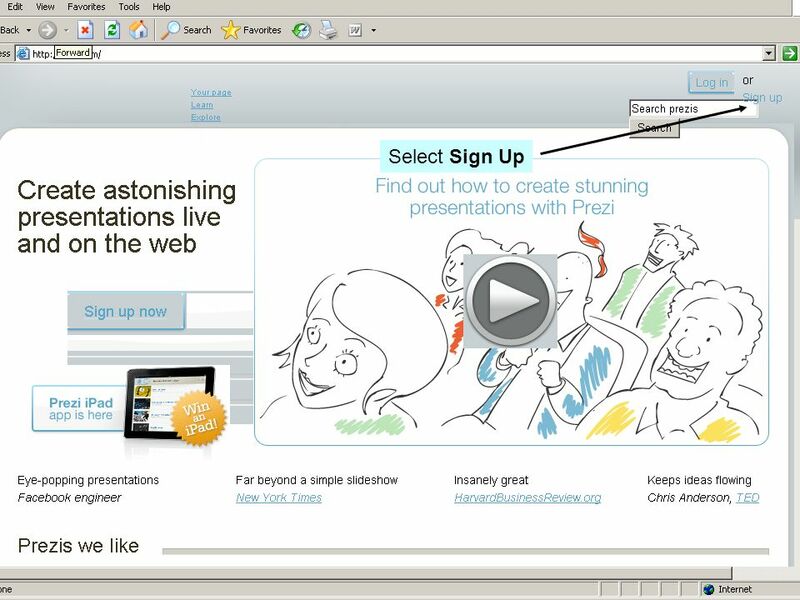 Download ppt "How to Set up Your Prezi Account www.prezi.com. Select Sign Up." How to Access Your Student Lesson 4 – November 18, 2013 – Michelle Lowe. Setting up Gmail for School. Navigate to Username: mybisd.net Password: Tiger#DOB. Student Tutorial Intern Placement Tracking (IPT) at the Wayne State University School of Social Work – Office of Field Education This tutorial will walk. X10 hosting Sign up for free account. Enter a domain name click continue Then Enter your address Enter a password. Existing Customer: Please visit Bonaqua Website for registration. Licensure Process from the Ohio Department of Education Prepared by Cincinnati Public Schools. 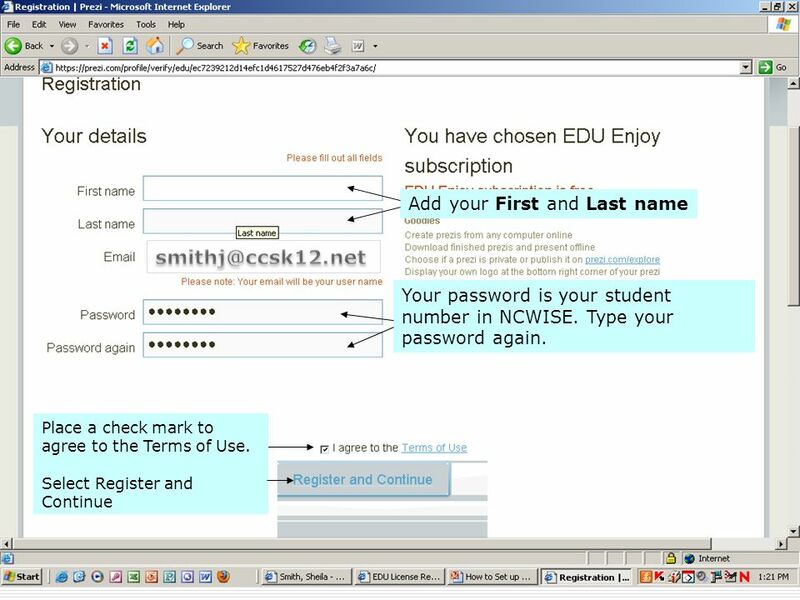 Student’s Guide to TurningTechnologies NXT Clicker and ResponseWare STEP ONE: LAUNCH Go to Blackboard : Go to any of your courses. Employees Set Up or Change “Forgot Your Password Help” And Work Address VIA “My System Profile” In EmpowHR Employees MUST set up their security question/answer. Lesson 7: Working with . 2 Concept 7.1 About is a fast and easy way to communicate to all places on the Internet You must have an .